One thing that every lady working in the kitchen is anxious about is cleaning the counter top and the cooking range. 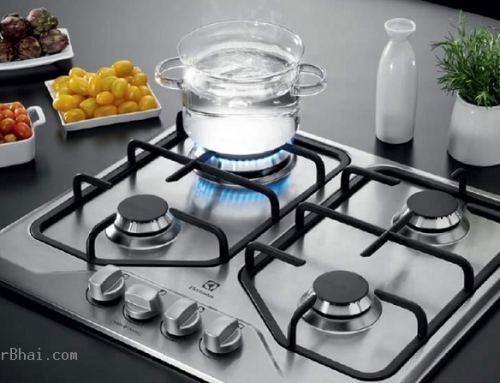 Cleaning a gas cooktop is far more easy and worry-free. But cleaning a Built-in-Hob cooking range needs to be done very carefully. Any person in kitchen (be it servant or any relative) take care that water is not to be poured/spilled on Built-in-Hob like cooktops. Lot of Indian families are used to cleaning the kitchen platform n gas cooktops with loads of soapy water. 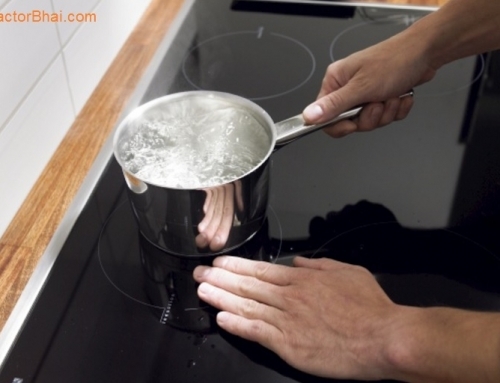 Gas Cooktops have a stand and so one can easily remove water from beneath the cooktop. 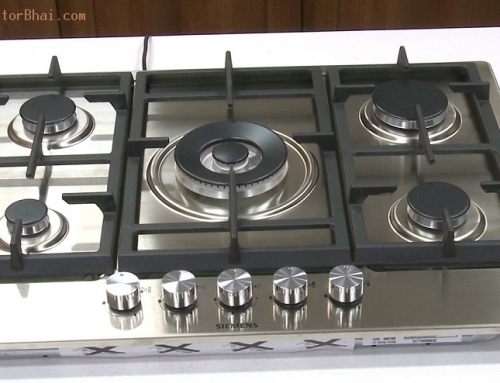 Also you can easily remove the burner and clean unlike gas Built-in-Hob. If somehow water enter the burner of Built-in-Hob then it may stop working. The burner may stop throwing out flame in that part where water has entered. To rectify this issue home owners will have to call a company person who dos the needful. While using Built-in-Hobs see to it that you don’t leave any acid or alkaline substances like salt, sugar, lemon juice, vinegar, etc. on the hob. Incase any food spills or such acidic spills on hob, wipe the Built-in-Hob with a wet cloth immediately (that is before they dry). For some stains immediately wipe the Built-in-Hob with a wet cloth when it is warm. This easily removes the satin from Built-in-Hob. This can be done on regular basis. Home owners can frequently use any neutral cleaning agent like Mr.Muscle kitchen cleaner with a soft sponge to remove colored stains. But clean the hob with a dry cloth as soon as you done cleaning with cleaning agents. Avoid using harsh scoring pads as it will scratch the surface. Well it may sound funny, but once a home owner gets a Built-in-Hob home, the lady/person working in kitchen will have to adjust her way of cooking and cleaning with Built-in-Hob. 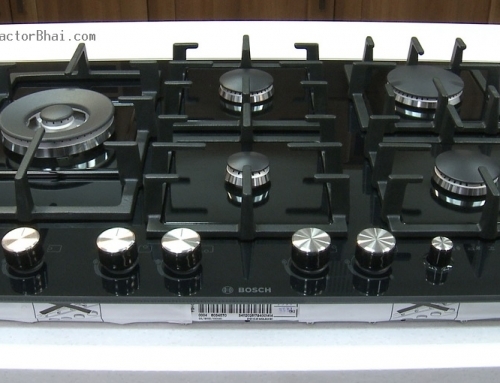 Currently, in our joint family, we use prestige 2 burner hob top without installing it into the cooking platform. 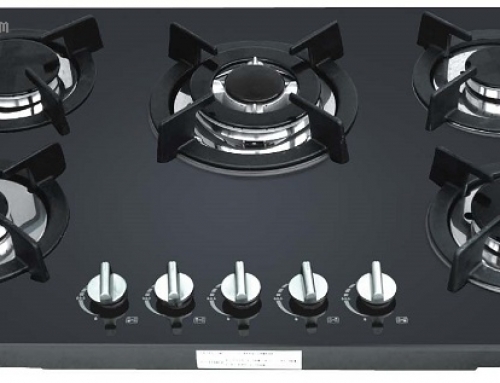 Am planning to take 3 burner hob top in our new home. Please suggest good brands. Kindly advice the advantages and disadvantages of having it inbuilt into the kitchen slab. with inbuilt option – you have to be careful while cleaning. YOU CANNOT simply pour soapy water to clean platform the way we do with old design. Secondly certain new burners burn slow flame, you have to confirm with shop person. With slow flame, the cooking time increases a bit. This is not a big deal for most home owners, but just sharing fyi. If you go for glass surface hob, VERY RARELY (VERY VERY RARELY) but there have been occasions where glass top shatters & breaksdown. No one knows why – home owners blame brand & company blames home owners for keeping hot stuff on top surface.